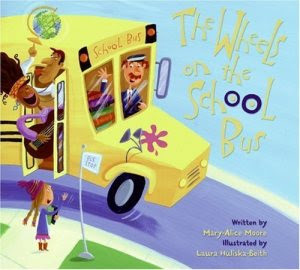 This is a GREAT version of the Wheels on the Bus! It is perfect for the beginning of school. 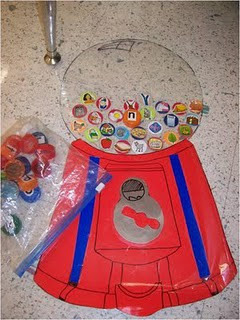 The book introduces students to school figures such as the librarian, the cafeteria ladies, the coach, the nurse, etc. I found a few copies on Amazon for just a penny plus shipping. This would be a fun version to use with Deanna Jump's Wheels on the Bus lesson from her unit Literacy and Math Activities Using Student's Names. I love this idea from Mariah at Giggles Galore! 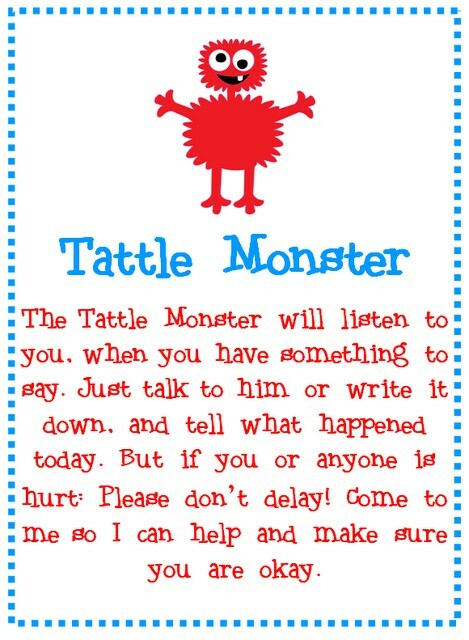 For all of you who have problems with constant tattling.... here is the tattle monster!! 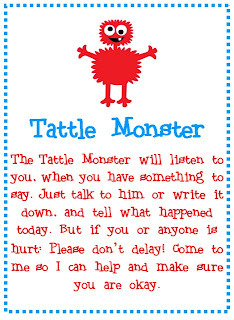 For more information on the Tattle Monster and how to make your own, go to Mariah's post Tattle Monster. You can download the poem that goes with it for free. For all of you who LOVE Kim Adsit's stuff.... she has a NEW blog. Check it out!! 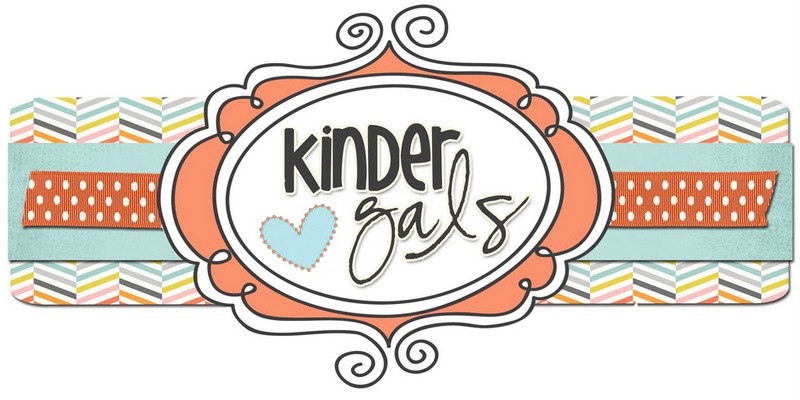 It's called KinderGals. I love her carpet bag idea. This is actually one of my top ten ideas from my trainings this summer. I first heard about it from Deanna Jump. Go to Kim's Carpet Bag post to read more about them and see more pictures. I made this post about a year ago, but recently came across it again and thought I would pull it back out to share. 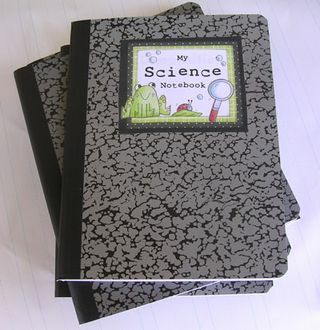 As you get the year started, ,many of you are probably putting together science journals for your students and looking for easy experiments to do with your students. Take a look at this post from Kindergarten... Kindergarten... for a few ideas on using science science journals in the early childhood classroom. Thanks Elaine for sharing this with me!! :-) Miss you!! Kids love animals. They love to learn about animals, do things with them, and hear stories about them. So.... Go Back To School with BAILEY the dog! 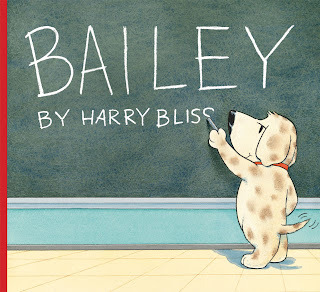 Meet Bailey, a dog who surprises and charms his fellow human classmates with his irrepressible antics. 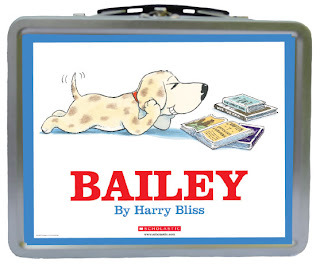 Follow Bailey the dog as he gets ready and goes to school. Should he wear the red or blue collar? Both are so fashionable! Will he be late? That squirrel is a distraction! And what about Bailey's homework? Would you believe he ate it? That is what dogs do, after all. 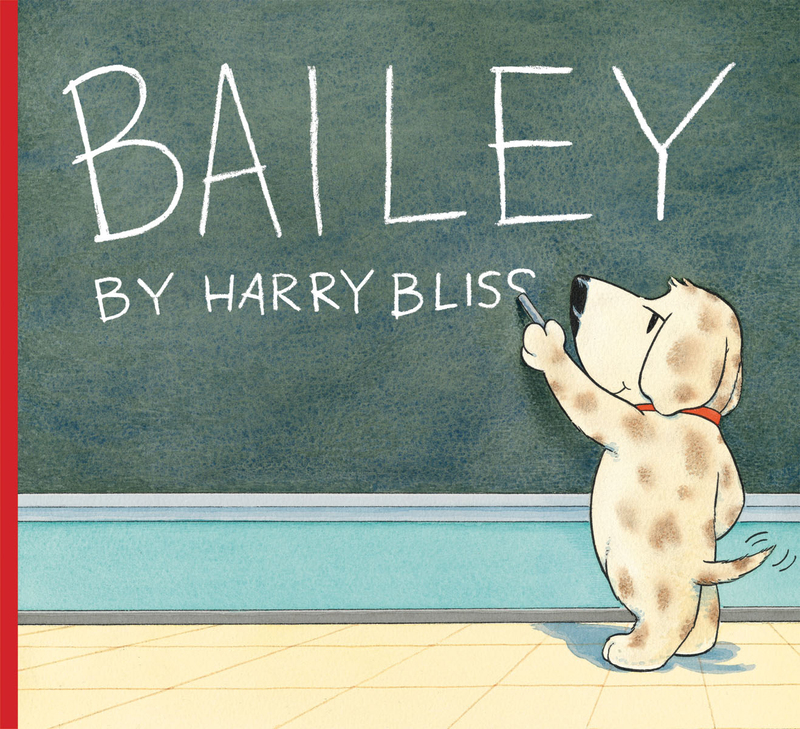 In this funny new book from the best selling children's illustrator Harry Bliss, school proves to be an unexpected place for Bailey to do all sorts of things he loves: reading, fetching, painting, digging, singing - and making friends! HARRY BLISS is a cartoonist and cover artist for The New Yorker magazine. His first book, A FINE, FINE SCHOOL by Newbery-award winning author, Sharon Creech, was a New York Times bestseller. 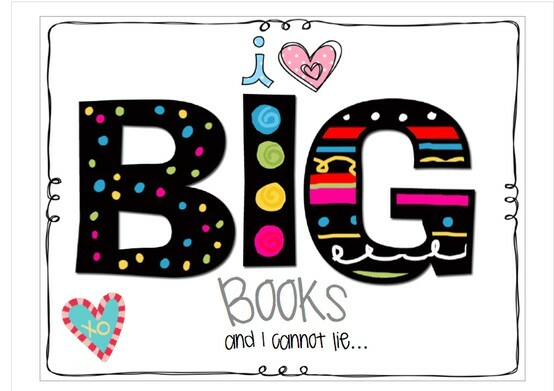 He went on to illustrate many other books, including WHICH WOULD YOU RATHER BE, by William Steig; COUNTDOWN TO KINDERGARTEN by Alison McGhee, and DIARY OF A WORM by Doreen Cronin, a #1 New York Times bestseller as well as ADVENTURES OF A CHICKEN by Kate DiCamillo. Harry lives in South Burlington, Vermont. 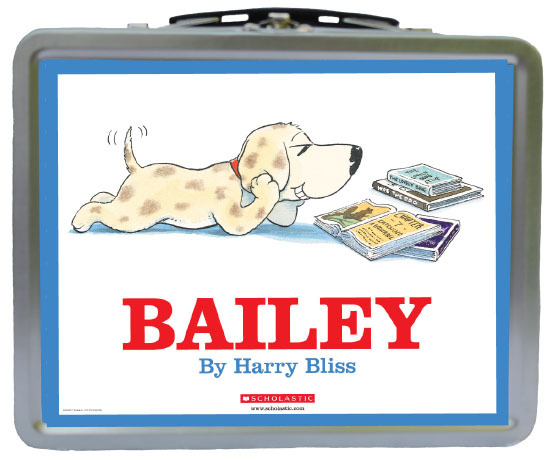 Scholastic has graciously offered to sponsor a giveaway of Harry Bliss' new book Bailey. Check out a trailer of the book at this YouTube link. 3) Make a post telling about a favorite animal read aloud or lesson you like to use with you class. The giveaway will run through midnight Sunday, September 4th. Winners will be announced Monday morning September 5th. Thanks to all of you who entered the My Memories Suite Digital Software giveaway. 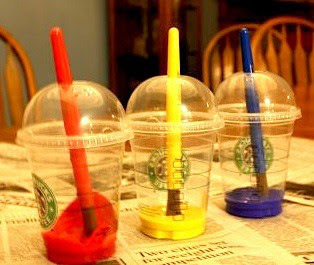 The winner is Cheryl from Crayons and Curls. Congratulations Cheryl!! I will be in contact with you through your email. Thanks again to all of you who entered and to My Memories for sponsoring the giveaway. I just found this great YouTube video for Chicka Chicka Boom Boom. 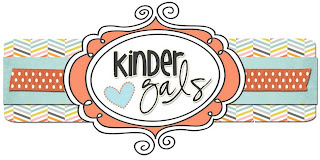 You can look at the original post at Kindertastic. If your district blocks YouTube, go to KeepVid to save the video so that you can show it at school. 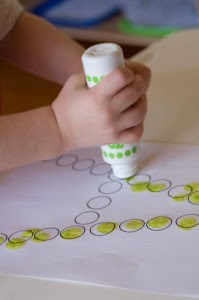 This video goes great with Deanna's Chicka Chicka Boom Boom lesson in her Literacy and Math Fun With Names Unit as well as her Coconut Survey and Graph Activity. 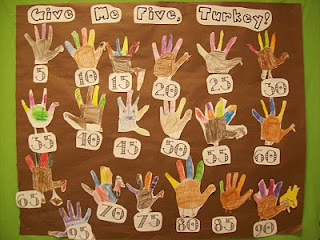 I just came across this idea from Jonelle. 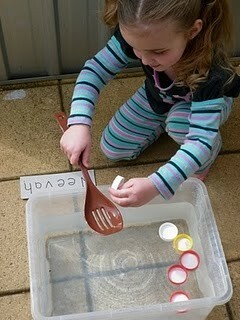 It is posted on her blog A Place Called Kindergarten. 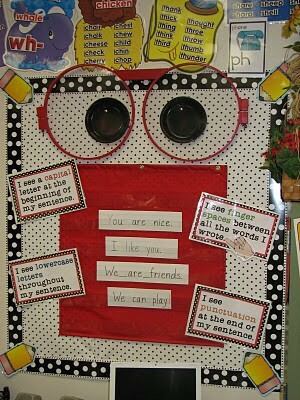 What a great way to motivate your new kindergartners to want to learn to read. 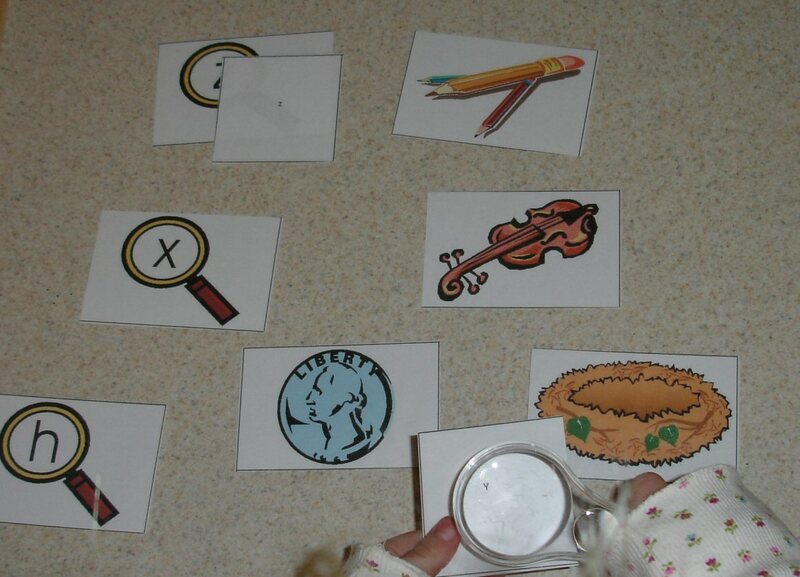 Jonelle's class made "I Spy Readers" magnifying glasses and went on a hunt around their school to look for readers. 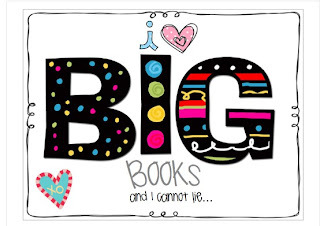 What a great way to have fun and get students excited about books and reading!! Check out Jonelle's post at I Spy Readers.... You can download the magnifying glass for free from the post. 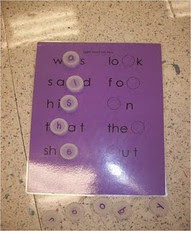 This idea goes great with Abby Mullins unit Ready to Read: Reading Activities For the Beginning of the Year. You can preview the unit at her TPT Store. I purchased this unit recently and can't wait to use the lessons in it. 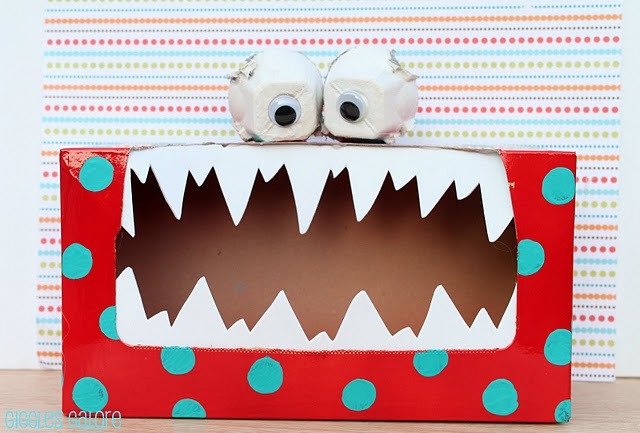 It is full of fun ways to motivate young readers. Great news!! 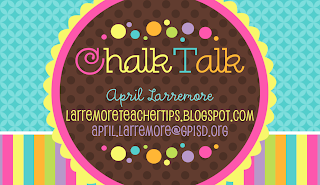 If you like my blog design or magnet design, go to dreamlike magic and check out the rest of Alicia's work. Right now, Alicia is offering a 15% discount on all of her designs in her Etsy store to my followers. Use the code ChalkTalk15 when checking out to get the discount. Thanks again Alicia!! Thanks so much Alicia from dreamlike magic for my NEW BLOG DESIGN!! I absolutely LOVE it!! Check out all of Alicia's designs at her Etsy shop. 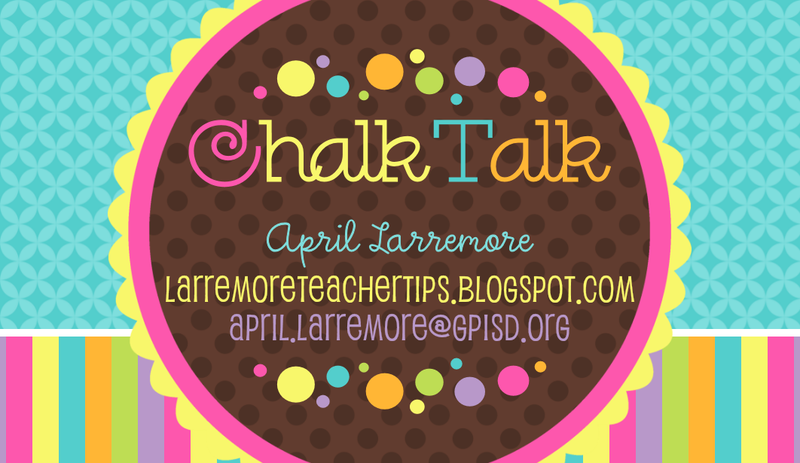 Alicia also made me a design so that I could have magnets created to match my blog design. I wanted magnets to give out to teachers I meet and work with (like business cards, but something they could keep up with). I ordered my magnets from Vistaprint. The prices for their magnets are great! 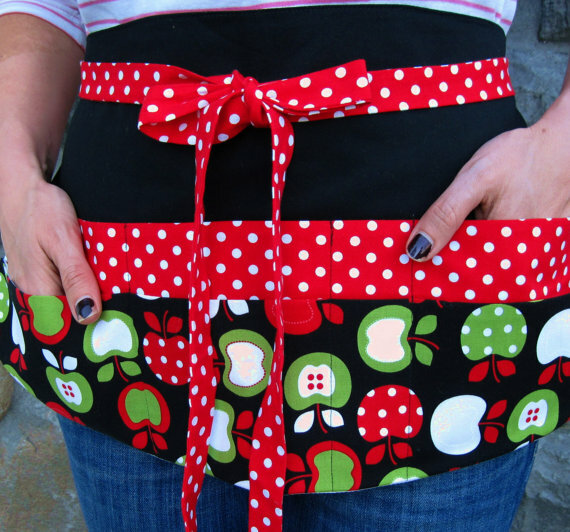 Looking for the perfect apron to wear in your classroom. I just came across these on Etsy and I love them. 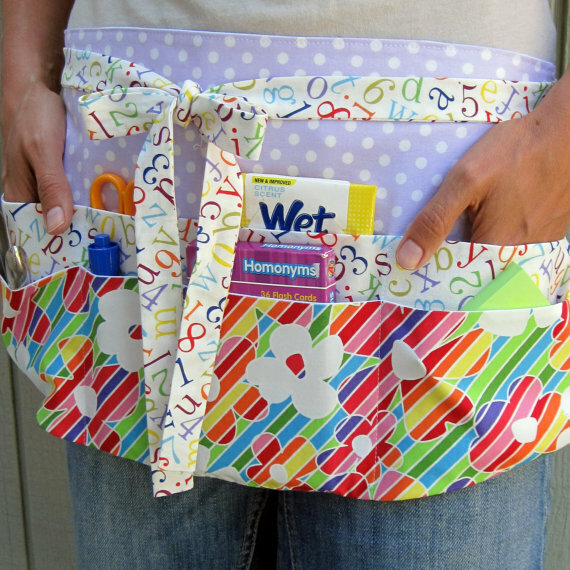 They are short so they will not get your way and they have lots of pockets for storage. Check them out at Food Phyte: Textiles for the Kitchen. They are just $24.95 and there are tons of prints to choose from. I just bought the first one pictured!! This post is a little different than the ones I usually make, but I recently found out about a documentary called American Teacher and I wanted to share a little bit about it with you. With all of my grad school research, I have gotten into watching educational documentaries such as Waiting for Superman and Race to Nowhere. Sometimes these documentaries inform us about things going on in education that we do not know about and other times they affirm the decisions we are making and the thoughts we are having. American Teacher is a feature-length documentary which chronicles the stories of four teachers who live and work in disparate urban and rural areas of the country. The film follows these teachers as they reach different milestones in their careers. It tells a deeper story of the teaching profession than what is seen on the surface. American Teacher is based on the New York Times best-selling book, Teachers Have it Easy: The Big Sacrifices and Small Sacrifices of America's Teachers. It is an endeavor of The Teacher Salary Project, a nonprofit organization offering interactive online resources and a national outreach campaign to change how teachers are valued in our society. The documentary was produced and directed by Academy Award winning filmmaker Vanessa Roth and narrated by Academy Award winner Matt Damon. It opens Friday, September 30th, 2011. For a short preview, go to The Teacher Salary Project. Check it out. You will find LOTS of great ideas and freebies!! She also has a store you can shop at. I just found this while on Pinterest. 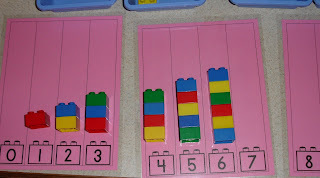 It is great for morning work and math tub activities. The downloads are all there for free!! 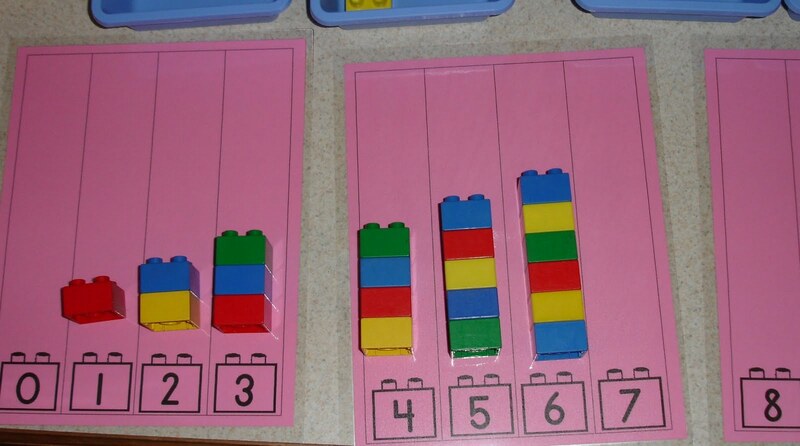 and there are MORE ideas for using LEGOS in your classroom. Go to Math Centers to check it out! 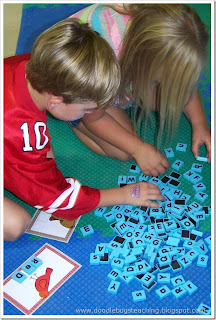 Go to ABC Centers for more ideas and downloads for literacy centers. I love the ABC Magnify Match for adding the ABC's into the science center. For those of you who downloaded the writing signs shortly after I posted them a couple of days ago, I have made some changes in them. A few people emailed with suggestions so here is a new version. Tonight's adventure.... purchasing a red-footed tortoise for a kindergarten class pet. Petsmart very graciously offered to set me up with a pet of my choice and everything I needed for its habitat. Thank you Petsmart!! I have a class of kindergartners anxiously awaiting the arrival of their class pet!! First, I met with a Petsmart employee who showed me several pets and answered all of my questions. Together, we decided on a land turtle. Land turtles are easier to upkeep than aquatic ones. 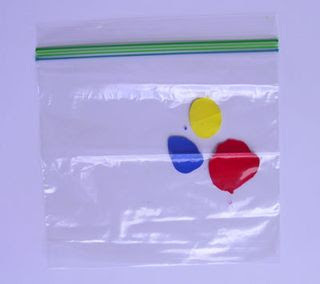 They are also easier for little ones to handle. Students can hold them and touch them without any concerns. They just need to wash their hands after handling them. Here are the two turtles we had to choose from. I say "we" because my daughter, Abby, was as excited about purchasing the turtle as I was and had to be involved in every step of the process. We chose the bigger one because it had more red color on its feet. Both turtles are girls. I learned that girl turtles have smaller tails than boy turtles. We needed lots of things to set up our new turtle's habitat. - a thermometer (during the day on the cool side, the temperature should be 80-90 F and 95-100 F on the basking (or warm) side. 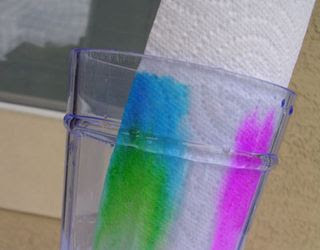 At night, it should be 70-80 F.
- a hydrometer (the humidity level should be between 50-80%)You can lightly mist the tank with water from spray bottle each day. I got the turtle home and all set up. It was all very easy to do. Shelly (that is what Abby and I decided to name her) is going to hang out at my house for the next two weeks, while Mrs. McDonald gets her new class adjusted to school, daily routines, and class rules. At the beginning of September, I am going to introduce Shelly to the class through several science lessons on reptiles, habitats, living and non-living, basic needs, etc. I am working on putting these together now and will be sure to share when I am finished in case anyone else decides to purchase a land turtle for their class pet. Watch for more postings in the next couple of weeks and throughout the school year on lessons and activities centered around our new class pet. Thanks again Petsmart for your gracious offer and all of your assistance. Your employees were very knowledgeable and helpful with my purchase. Finding a new class pet has been a great experience. I just came across this great writing board on Pinterest. The idea came from Mrs. Phippen. So.... I made these signs to go with it and thought I would share. Going back to school proved to be rather exciting on Monday because Ron Clark was the guest speaker at convocation!! 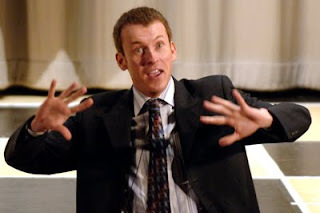 For those of you who are not sure who Ron Clark is, he is a man who didn't start out wanting to be a teacher, but through his own innovative ideas has proven to be highly successful in teaching economically disadvantaged middle school students in North Carolina, Harlem, New York City, and now Atlanta. Several years ago he was named Walt Disney's teacher of the year and has appeared on the Oprah Winfrey show. Maybe you are familiar with his first book and National Bestseller, The Essential 55. 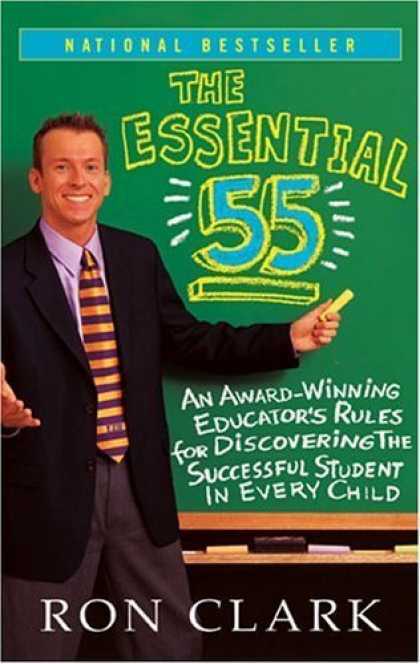 The book tells Ron's inspirational story of how he developed and implemented a set of 55 essential rules for success in his own classroom. 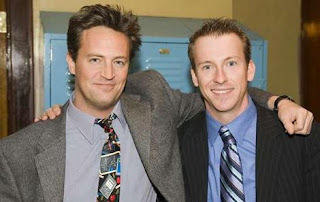 Ron's story was made into a movie titled The Ron Clark story. Listening to Ron speak on Monday was inspirational. He made important points about really getting to know your students so that you can better understand why they may be having the struggles they are having, about affirming them, affirming them, affirming them (obviously this was one of his most important points!! 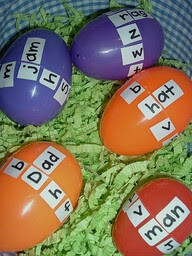 ), and being innovative in how you teach. He talked about those teachers who are always asking others not to do something because it will make them look bad or because they will have to do it too. Don't be that teacher this year!! Be creative. Be innovative. Work hard and be inspired!! and no matter what..... AFFIRM, AFFIRM, AFFIRM!! Affirm your teammates, affirm your administrators (even when you do not feel like it), and affirm your students (even when their goals and ideas for themselves seem unrealistic). Affirm them!! 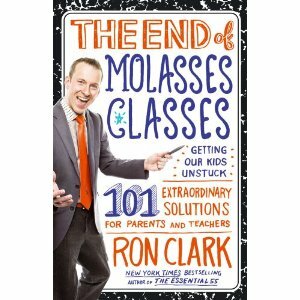 Ron has a new book out and all of the proceeds go to fund the Ron Clark Academy in Atlanta, Georgia. I have started reading it this week and I have already laughed and cried and been inspired and I am only a couple of chapters in. I encourage all of you to go out purchase the book and get fired up about this new school year!! 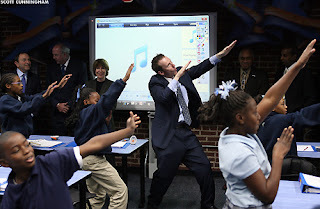 You can learn more about the Ron Clark academy and their teacher staff development here. The K-Crew's Buzz Book for $5!!! Today Only!! LEGOS!! The Thing to Have! !